César Chávez’s relentless campaign for social justice for farm workers and laborers in the United States marked a milestone in U.S. history. Through his powerful rhetoric and impassioned calls to action, Chávez transformed as well as persuaded and inspired his audiences. In this first published anthology, Richard J. Jensen and John C. Hammerback present Chávez in his own terms. 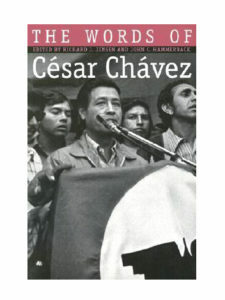 Through this collection and through his own words and analysis of his major speeches and writings, Jensen and Hammerback reveal the rhetorical qualities and underlying rhetorical dynamics of a master communicator and also offer a rich source of the history of the farm workers’ movement Chávez led from the early 1960s to his death in 1993.